The man who lies bleeding to death in a London brickyard is no ordinary drifter but a secret informant prepared to divulge details of a potentially devastating international plot against the British government. Special Branch officer Thomas Pitt, hastening to rendezvous with him, arrives a second too late, preceded by a knife-wielding assassin. As the mortally wounded man s life slips away, so too does the information Pitt desperately needs. The killer in turn flees on an erratic course that leads Pitt in wild pursuit, from London s cobblestone streets to picturesque St. Malo on the French coast. Meanwhile, Pitt s supervisor, the formidable Victor Narraway, finds himself accused of embezzling government funds. 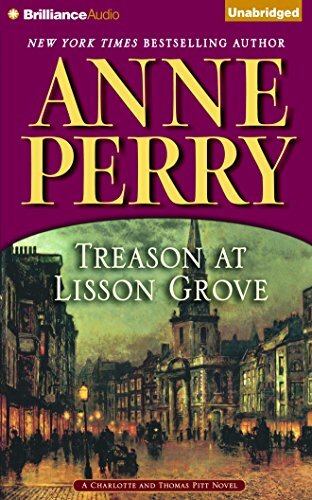 With Pitt incommunicado in France, Narraway turns to Pitt s clever wife, Charlotte, for help. The man who badmouthed Narraway and ruined his career with innuendo can be found in Ireland so Charlotte agrees to pose as Narraway s sister and accompany him to Dublin to investigate. But unknown to Pitt and Narraway, a shadowy plotter is setting a trap that, once sprung, could destroy not just reputations but the British empire itself."